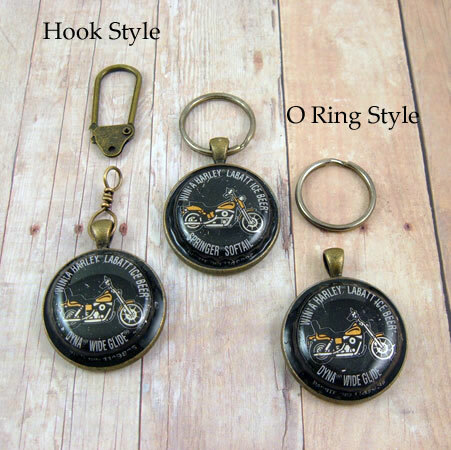 The Harley pendants I make can be used as a necklace or key ring. Or as a zipper pull, handbag accessory or anything you can think of. 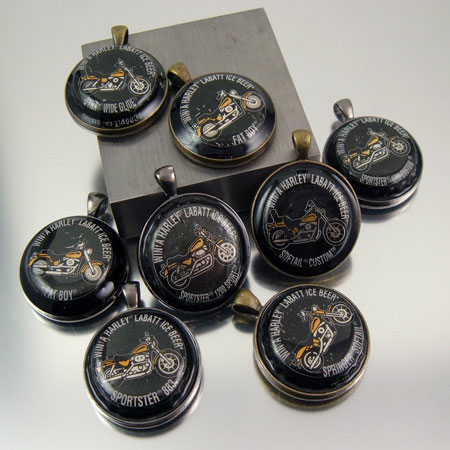 Each collectible Labatt, Harley crown has been sealed with jeweler's grade resin to protect it from scratches and everyday wear. Availability of crowns will vary. When they are sold, they are gone for good. 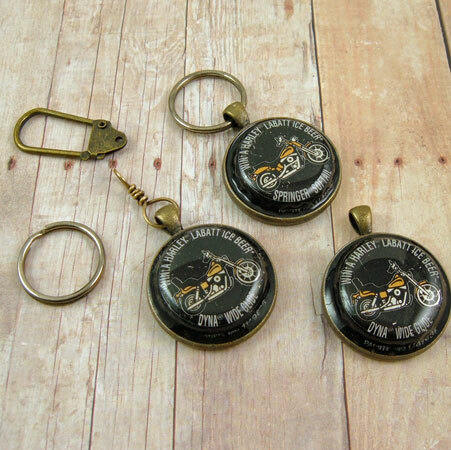 Makes a great present for a Harley Owner. PLEASE NOTE - Because these are collectible items, they will be individually made when ordered. Allow several days for your item to be custom made for you.